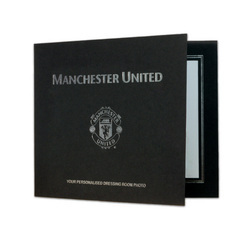 This is a fabulous present for any Manchester United fan and is approved and fully licensed by Manchester United FC. 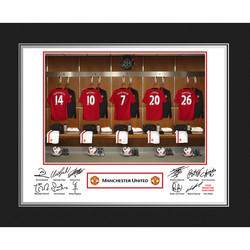 The photograph was taken in the actual Manchester United first team dressing room. Your selected surname up to 12 characters and number will be merged onto the centre shirt to exactly match your team mates'. 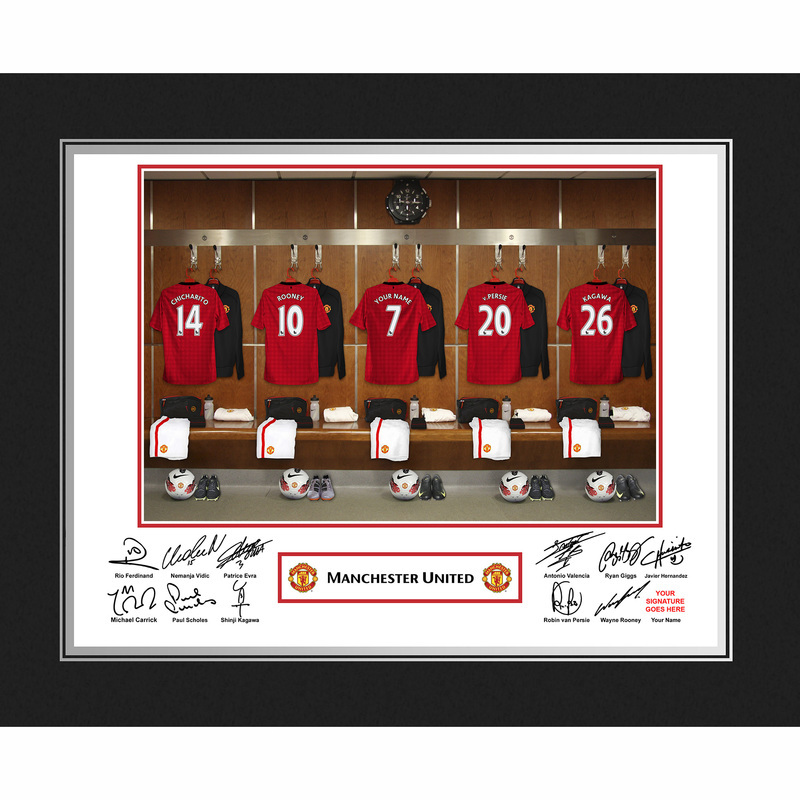 The forename and surname is printed alongside the player's signatures leaving a space for the recipient to add their own signature. Easy to follow instructions are included. 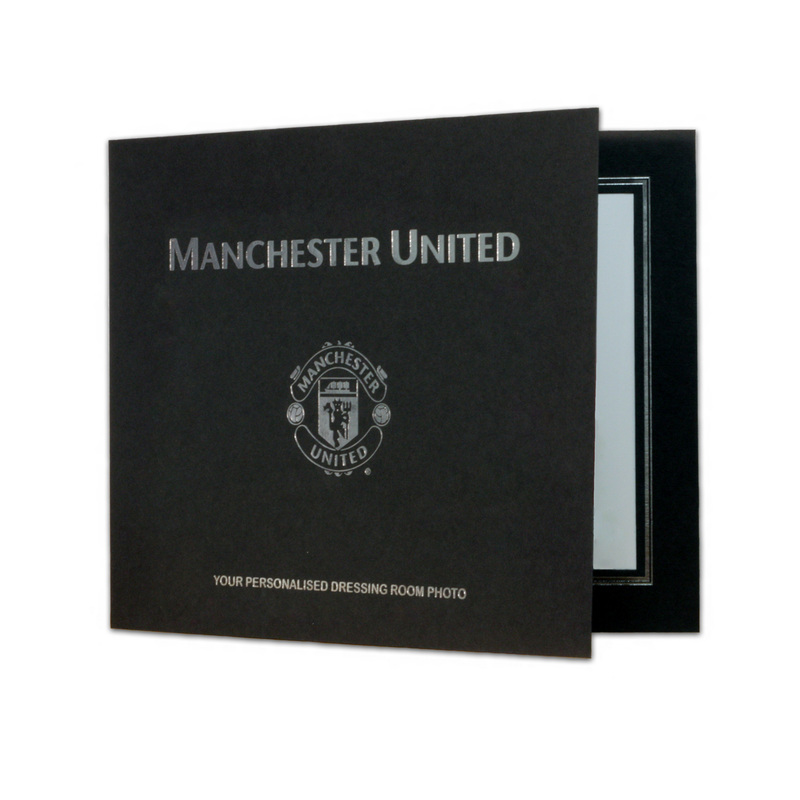 Each Print comes presented in a stylish folder which measures 255mm x 288mm. Framed and despatched within 2 working days.